The Ripley Court Hotel brings a certain magic to an otherwise a cheap hotel in Dublin. The perfect place to stay while in Dublin, you are guaranteed a warm welcome, great Irish food, relaxed atmosphere and a cozy bed for the night. 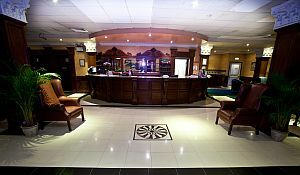 As one of the most conveniently located hotels in Dublin City Centre we are within a few minutes walking distance of many Dublin City Centre attractions, such as St Stephens Green, Book of Kells, Guinness Storehouse, Grafton Street and Temple Bar. One of many cheap hotels in Dublin, the Ripley Court Hotel brings a whole new look to budgetRipley Court Hotel accommodation. The Ripley court Hotel is located only a short journey away from live concert and music venues such as: the 3 Arena, Bord Gais Energy Theatre, Gate Theatre, and Abbey theatre. Full Irish Breakfast is served daily in our Deli Bar. The buffet style breakfast is extensive offering a wide range of hot and cold options and is served from 7.00 am until 10.30am. Our carvery lunch is available from Monday to Friday from 12.00 noon until 2.30 pm and serves delicious hot dishes prepared each morning with the finest Irish ingredients. The Ulysses bar provides an ideal atmospheric setting for a relaxing drink. An excellent spot to begin your night on the town! watch a sport action on the TV as major sporting events are televised - golf, soccer, rugby, GAA or if you would like to attend sport complex in Dublin, we are an ideal Dublin city Hotel and the sport venues are just a few minutes from the Hotel, we are an excellent choice if you are attending a sport event in Aviva Stadium or Croke Park. Because of its proximity to the International Financial Services Centre (IFSC), The Ripley Court Hotel is an ideal location for your conference or meeting. Dublin's new state of the art Conference Centre is just minutes away and we at The Ripley Court are happy to welcome you and your delegates who may need to regroup back at their hotel. The dedicated team in The Ripley Court Hotel will be on hand to ensure that your conference runs smoothly and professionally. Whether you are planning a one day meeting or a week long exhibition, we are confident that it will be a complete success from start to finish. Just a call to our Reservations Department will set you on your way to a stress free event. There is also secure underground parking. At The Ripley Court Hotel we are famed for our hospitality and a warm welcome awaits all our guests. The Ripley Court provides a full quality service to all of its guests.